Al-Sisi is taking no chances with the upcoming election because under his leadership the country has stagnated or gotten worse, Whether anyone else could have done better is a moot point. Imagine just one of the eighty-seven ancient, Orthodox churches in Egypt now in a heap of rubble fully restored and meeting the needs of the poor at its door. Should the state funds for Egypt’s upcoming presidential election this March be put to better use? Al-Sisi has emptied the field of all challengers except for one, and Mr. Musa Mustafa Musa, head of Al Ghad (Tomorrow) Party, has already announced that although he is a candidate “he will give his vote to the president” implying that every Egyptian should do the same. Al-Sisi’s second term will be all but automatic. Al-Sisi assures his win by ridding all civilian candidates from the slate. Here’s how. A human rights attorney, Kaled Ali, withdrew his campaign after citing the Al-Sisi regime’s restrictions on the presidential election process and the oppression of power. A soccer club president and parliamentarian, Mortadi Mansur, decided to withdraw his name after the arrests of two fellow candidates (mentioned below). When the nephew of former President Anwar El Sadat became a candidate he was black-listed from conference rooms and suffered organized attacks and distortion directed at him with limited time to respond due to election bureaucracy, so was forced to withdraw. The race was thereby cleared of all non-military opponents. Before that, the military candidates either lost interest or landed in jail. This included former Prime Minister Ahmed Shafeek (01/29 - 03/29/2011) who arrived in Egypt from the United Arab Emirates where he has been living since his loss to Mohammad Morsi in June 2012 and given safe passage. His is a story of the power struggle between military entities upon the takedown of Morsi and the Muslim Brotherhood and the restoration of military rule in Egypt. He withdrew his candidacy four days after landing in Cairo. Let’s not forget Army Colonel Ahmed Qansua, an unknown name in Egypt’s political arena, who announced his run for the presidency by video on his Facebook page on 29 November 2017. Qansua was dressed in his military uniform akin to Al-Sisi when he first gave political speeches in 2014. In this same video, Qansua declared that back in 2014 he submitted his resignation from the armed forces anticipating a step into politics. His resignation was denied. On December 19, less than a month after posting his November video, he was accused by an Egyptian military court of violating military laws and sentenced to six years in prison. Al-Sisi is taking no chances with the upcoming election because under his leadership the country has stagnated or gotten worse. There is much dissatisfaction in general and in regard to particular issues. Al Sisi’s most egregious offense against the Egyptian people has been his personal decision to give away Egyptian land to Saudi Arabia. Without consulting the parliament or the people directly, Al Sisi allowed the Saudis to take possession of two Egyptian islands strategically located at the entrance of the Straits of Tiran which connect the Red Sea to the Gulf of Aqaba. Al- Sisi was silent in the face of millions of distraught Egyptians who arrived in Cairo’s streets to protest the mysterious land heist demanding an explanation that was never received. Just before announcing his withdrawal from the presidential race on January 15, Mohamed Anwar El Sadat, the nephew of the former Egyptian president and presidentof the Reform and Development Party, condemned Al Sisi for his mishandling of Egypt’s agricultural lands and the Ethiopian water dam crisis. These are critical issues proven unresolvable by the current regime. Al-Sisi is isolating himself from those who once embraced him, becoming more of a dictator with no connection between his decisions and the will of the people. Thinkers, journalists, and attorneys who criticize government policies, presidential actions, and the ideology of Islam have been under attack and arrests have been made. Al-Sisi has abdicated his trusted role of leading the freedom fighters of the Arab Spring into progress for human rights. There is no doubt that many are disgruntled with Al Sisi’s actions and inaction over the past four years. Al-Sisi lashes back and sets the ground rules. There will be no questioning of the president and certainly no protests. In fact, just a four months ago (September 2017) in anticipation of his re-election campaign and mindful of dissatisfaction throughout the country, he warned Egyptians in a speech that he would never allow what took place seven and eight years ago to be permitted again – referring to the rebellion against Mubarak and Morsi. 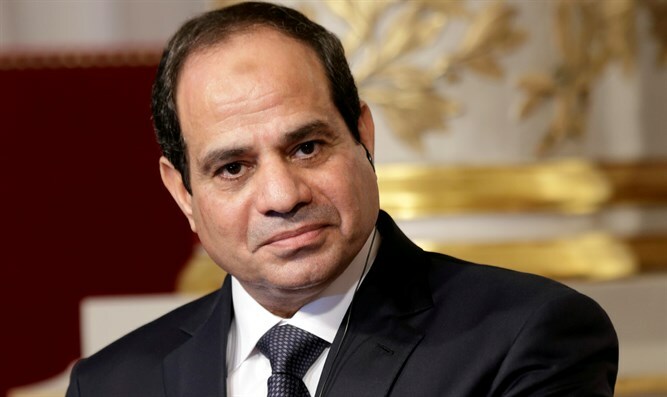 Al-Sisi has duly warned Egyptians in disagreement with him that he would use military force against them for “tampering with the country’s security” if they should try to speak or act out. He made a point of saying that the Egyptian army is capable of complete control of the country within six hours of his command upon any disturbances. The dirty pre-election expulsions incited anger in Egyptians toward the election process and provoked blog-talk of boycotting the election altogether. To override the democratic process is to win illegitimately. In response, Al Sisi has all but made it known that he regards a boycott as the seeds of revolt. Securing and unifying the military behind him by eliminating splintering factions with military candidates, Al-Sisi now warns Egyptians that an uprising will not be quelled by Egypt’s police forces but crushed by a military clash. There is much disgust and discontentment. More establishment election fraud insults the intelligence of Egyptians and robs them of their voice. After the debacle of the Mubarak-Tantawi-Morsi-Al Sisi saga and holding patience through the past eight years, the populace has grown fatigued with techniques like defunct polls delivering a 99.9 percent vote for the regime. After the bloodshed and the tortuous drama of the recent past with nothing to show for it except their loss of confidence in Al-Sisi to fix it, revolt always remains an undercurrent.